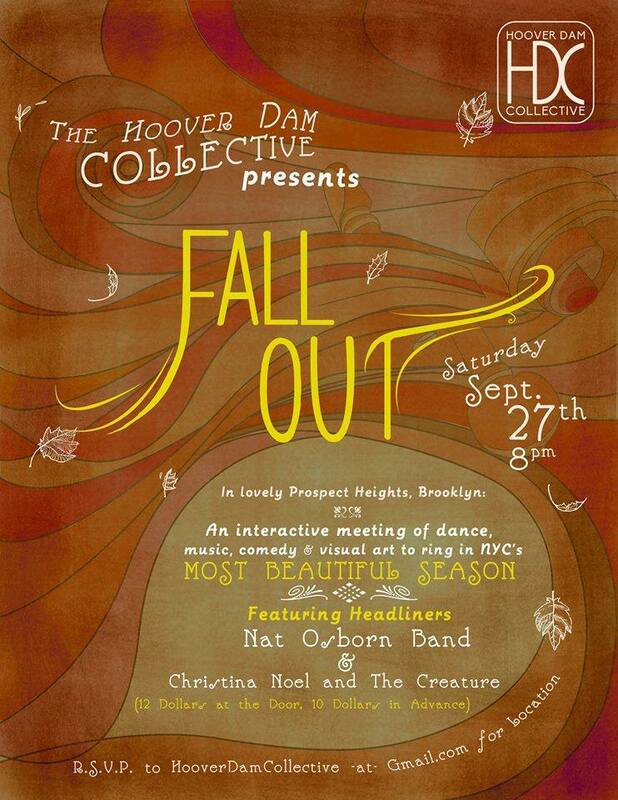 On Saturday, September 27th, The Hoover Dam Collective joins forces with multiple curators to produce "FallOut," an evening of visual art, dance, comedy and live music to ring in NYC's most beautiful season. The HDC combines forces with several talented artists of various disciplines to produce something that takes what we do to the next level. We are expanding the boundaries of how performance can be experienced to create a fully immersive evening in which audience members are constantly stimulated and engaged. The evening is heavily curated, but participation is never mandatory- as always with HDC shows, there is the option to disengage and enjoy the party. "FallOut" will also bring together a variety of the city's artistic communities under one roof to cross-pollinate artistic and social circles and encourage creative exchange. The show will take place in a massive loft in Prospect Heights, a secret underground treasure which we recently stumbled upon and are incredibly excited to work in. There will be a bar, a rooftop for smokers (and surprises) and an incredible amount of excitement in the air. Highlights of the evening include interactive performances from ChristinaNoel & the Creature and a headlining performance by The Nat Osborn Band.